Leaky faucets, clogged drains, and old pipes can get to anyone’s nerves. Before it gets to yours, call 4Star Plumbing Services today! We have a team of highly-skilled professional technicians, the most advanced equipment, and the widest range of services to respond to your every need. 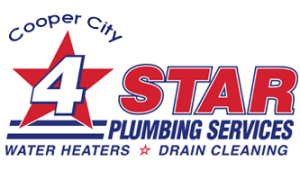 4Star Plumbing Services is your leading plumbing service company working in Fort Lauderdale, Pompano Beach, Coral Springs, Pembroke Pines, Parkland, Weston Plantation, and the rest of the surrounding areas. With 4Star Plumbing Services, you don’t only get the assurance of high quality products and services, and dependable workmanship; we can also fully assure you that our technicians and employees have been carefully checked for trustworthiness. You should have no problem letting our uniformed staff into the very heart of your home. Our A+ Better Business Bureau (BBB) rating and countless happy and satisfied customers’ testimonials can prove that to you! We believe in the power of effective and thorough communication that is why we go out of our way to know what you want, give you options, and help you figure out what will work best for you. We talk you through the whole process – from beginning to end. Because we believe that good service never stops! Call us today at 954-776-9888 or drop us a message here and we’ll get back to you pronto!